If you own land, want to own it or already own it, you might need a Land surveyor. 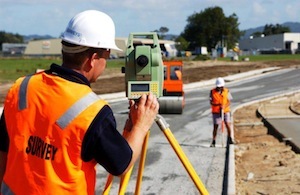 Here Mr Mwathane speaks about what a land surveyor does and whether or not you need one. Mr Ibrahim Mwathane is a consultant in Surveying and Land Information Management and holds a Bachelor of Science degree in Surveying and Photogrammetry from the University of Nairobi and a Masters degree in Cadastre and Land Information Management from the Polytechnic of East London. Mr Mwathane has had extensive experience in the public sector where he served for 13 years as a field surveyor, quality control officer and a district and provincial office manager. While in the private sector, Mr Mwathane has been involved in consultancy work in surveying and land reform. He has provided advocacy and technical support to Kenya’s land policy formulation process and the continental land policy process. – vary from KSh. 3,000 to 100,000 depend on number of parcels from a subdivision and type of approval system you’ll run. 1. Surveyor comes and surveys the land and compiles the data in a Mutation Survey Document, (The Mutation Survey Document supports the title if it’s endorsed by a licensed surveyor or government surveyor). 3. Surveyor presents the documents to the district survey office or to the director of survey (if you’re in Nairobi). How Long does the Survey Process Take? In cases where your property falls in two counties, then you as the property owner chooses which county to belong to.